Well-groomed lashes and brows help our self-esteem. When we look good, our confidence rises and we feel good about ourselves. Interested in making the most of your eyelashes and brows? Keep reading. Where Did All The Lashes Go? Thinning brows and lashes are a problem for people in their 50’s and 60’s, but can also be of concern for those in their 20’s and 30’s. The regular use of beauty products such as false eyelashes and lash curlers may already be taking its toll on your eyelashes. Harsh practices such as frequent plucking or threading can make a bad situation for your brows even worse. So do expired beauty products that many consumers use without realising they are out of date. Little by little, all these factors have an effect. Suddenly, right before your eyes, your once-full brows and beautiful lashes can become sparse and barely noticeable. Fortunately, there are things you can do to prevent this scenario, and that’s what we’re writing about today. Derma Aesthetics has recently released a new product, MTS LashPep, created to make your lashes luxurious and your brows bountiful. Most people regularly condition and moisturise the hair on their scalps, forgetting that their eyelashes and eyebrows need TLC, too. MTS LashPep moisturises and repairs dry, damaged eyelashes and brows with a powerful reconstructive peptide formulation. The peptides in MTS LashPep have been shown to strengthen and condition the hair follicle. 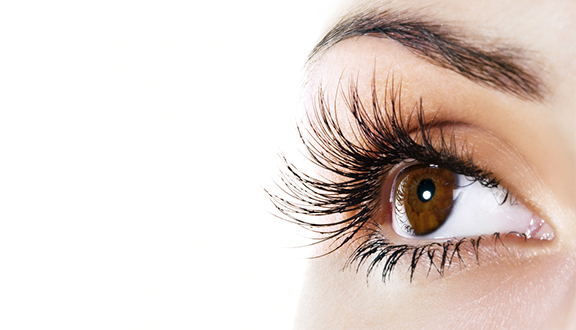 This helps prevent lashes from breaking, allowing them, instead to reach their dramatic potential naturally. They will look full and longer than ever. In addition to peptides, the stimulating ingredients in MTS LashPep aid circulation. They bring protein-rich amino acids and super-oxygenated blood to hair follicles, increasing visible results significantly. Finally, antioxidants in MTS LashPep fight free radicals. Free radicals can damage hair, weakening it and causing it to break. LashPep is safe and easy to use. It is applied twice a day, in the morning and at bedtime. Simply paint a moderate amount of LashPep to the base of your upper lases (as if you were applying a liquid eyeliner) and to your brows (as if you were using a brow pencil). That’s all there is to it. LashPep dries quickly, so you can apply the other skincare products in your beauty ritual within moments, including make-up. Once your lashes and brows return to their natural fullness, you need only apply LashPep once a week to maintain the beautiful results. If you’d like to know more about how LashPep can help beautify your lashes and brows, we recommend that you make an appointment to speak with your skincare consultant.